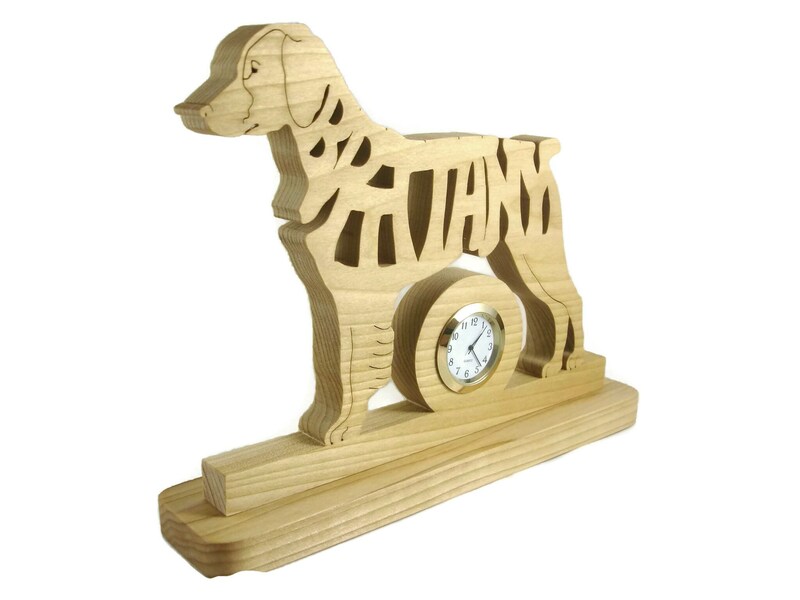 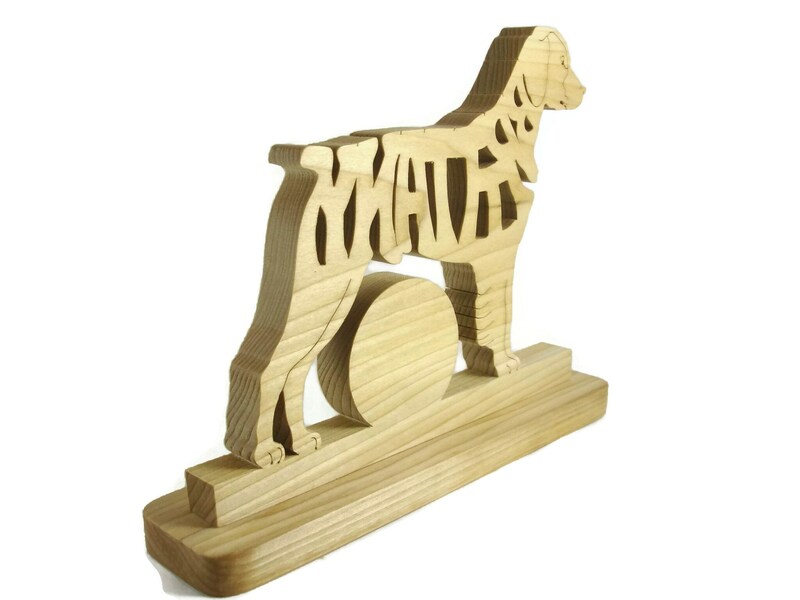 Brittany dog desk or shelf clock cut by hand on a scroll saw from Poplar wood. 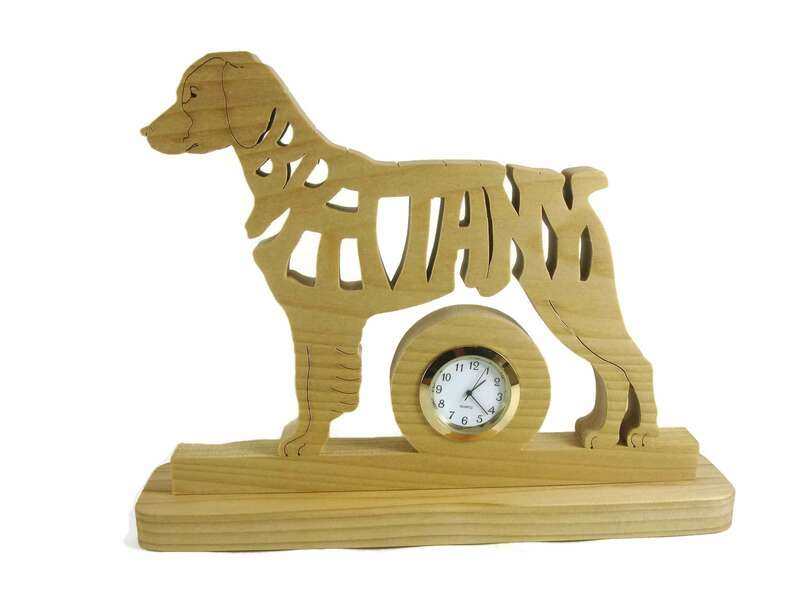 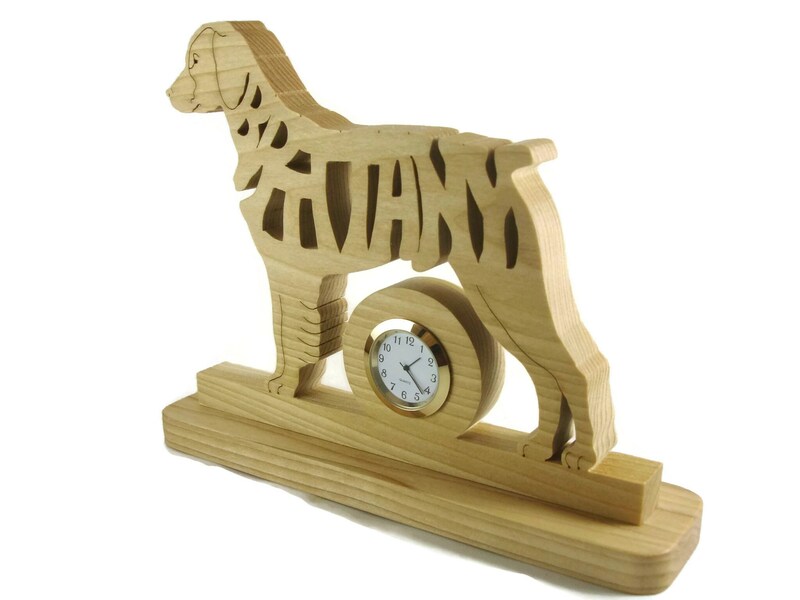 This Brittany dog desk or shelf clock was cut by hand ( Handmade ) from 1/2 - 5/8 inch thick Poplar wood using a scroll saw. 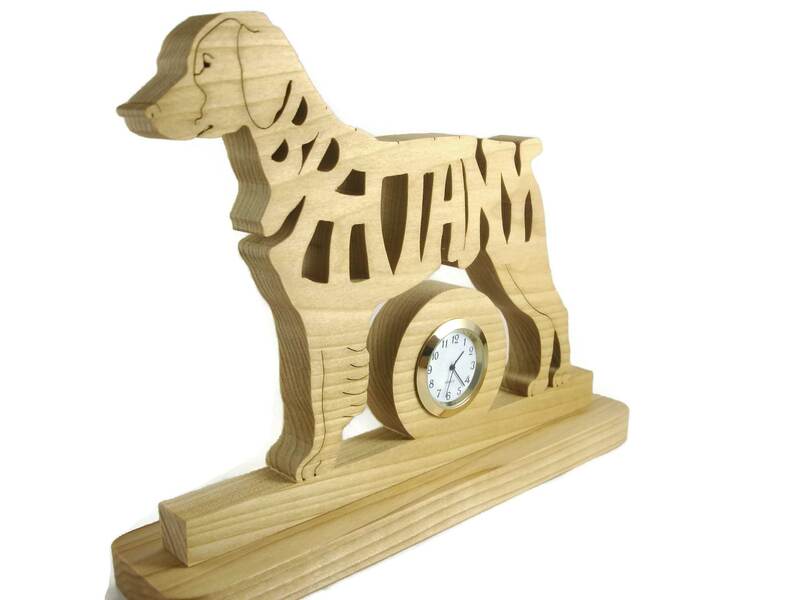 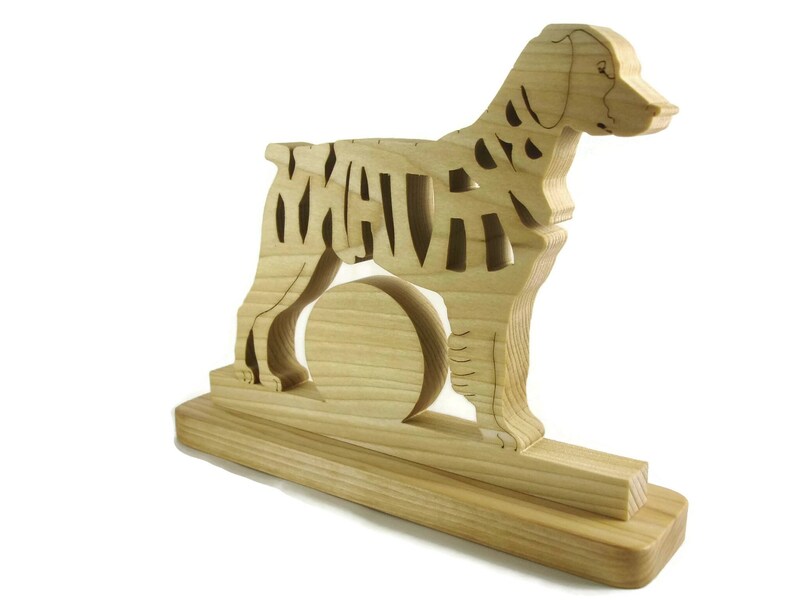 This features silhouette view of a Brittany with the name Brittany cutout within the dog shape.